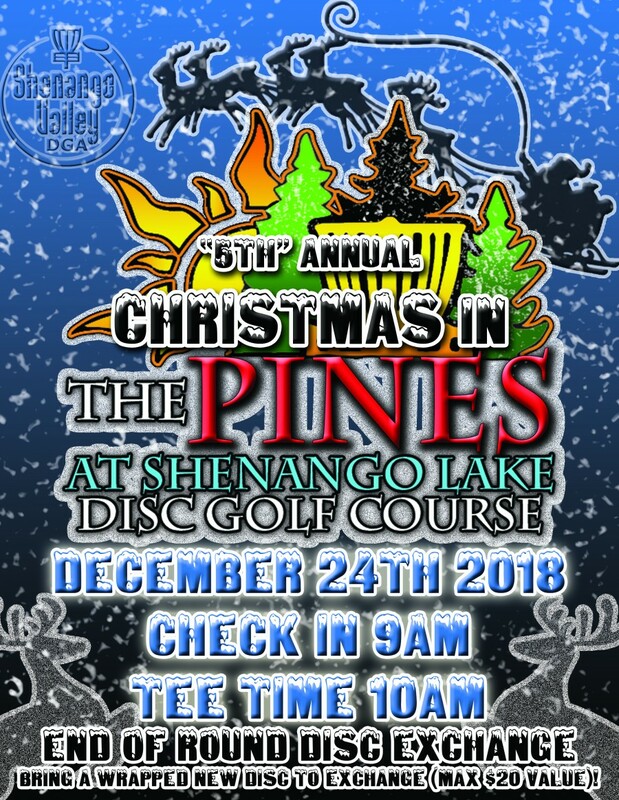 The only entry Fee is Holiday Cheer and a Disc for the Disc Exchange ($20 Limit). I will have CTP's and Gifts to hand out! Feel free to bring whatever you like. Winner will get first choice of a wrapped new disc in the lot. Shenango Valley Disc Golf Alliance is responsible for all refunds/cancelations.